"All the world on one arrow." "I only need one shot!" "Let's see how close they can get." "No one escapes my aim." "Do not confuse mercy for weakness." "Peace requires a steady hand." "Faster than my arrow? I think not." "I won't lead us astray." 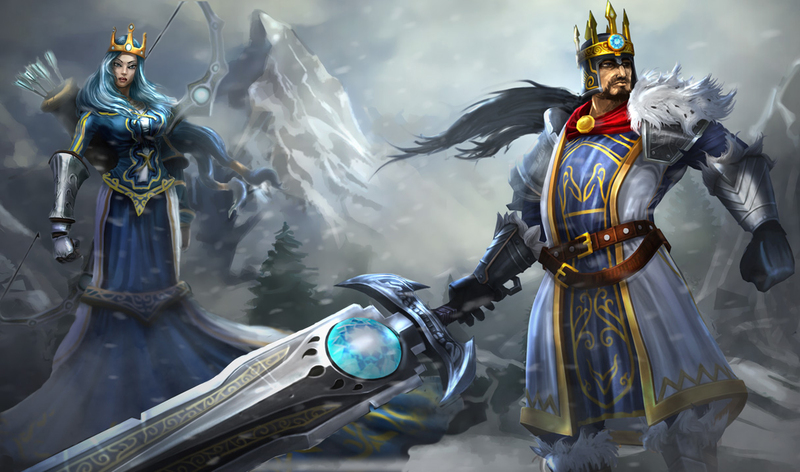 "I will unite the Freljord." "I do my best work from afar." "We're on the right path." "I always take the high ground." "How do you like the curves? I was talking about the bow." "Take a good look; it's the last you'll get." "Keep staring... just don't look behind you." "No, really, put that apple on your head... ugh! Oh, hmm..."
"I don't have to see you to shoot you... ow! Ugh, really?" "Ha ha! Check this out... ow! Ugh, who makes a bow out of ice?" "So, which one is the pig?" "To pierce your black heart." "Your twisted ways must be stopped." "I will end your corruption." "The fate of our people hangs in the balance." 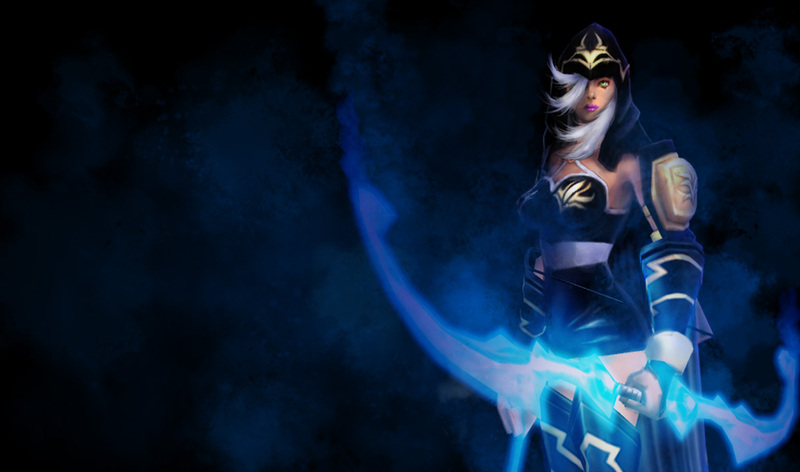 Ashe: "War. What is it good for, AVAROSA?" Ashe: "AVAROSA, read me a haiku." AVAROSA: "For untapped power, humanity must be lost, dare we step forward." AVAROSA: "An inane request, you've got to be kidding me, hope you're satisfied." "Don't let your pride get you into trouble." "Your code will get you killed one day if you aren't careful." "Your skill is an asset to the cause." "If anything ever happens to me, it's up to you to finish this." "The light in our darkness." "We'll make them pay - together." "We've all lost people we care about; it's up to us to make sure no more are taken." "I'm glad you're on our side." "Don't think you are, Yi, know you are." "There is more to life than order." "They have your brother, but he is not beyond saving." 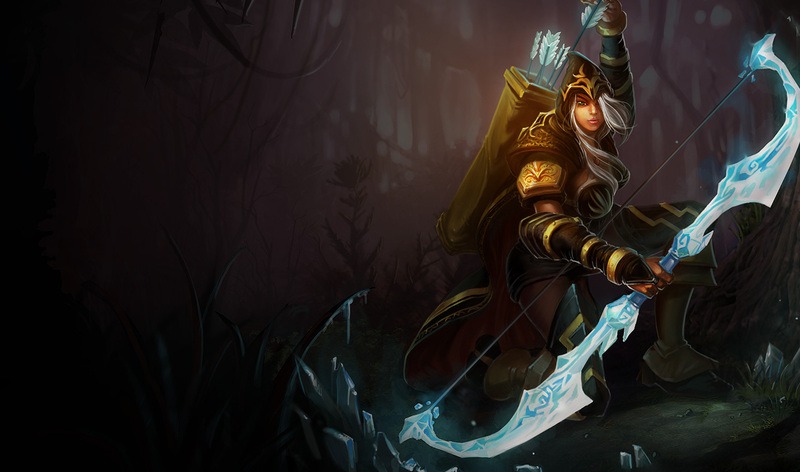 Iceborn warmother of the Avarosan tribe, Ashe commands the most populous horde in the north. Stoic, intelligent, and idealistic, yet uncomfortable with her role as leader, she taps into the ancestral magics of her lineage to wield a bow of True Ice. With her people's belief that she is the mythological hero Avarosa reincarnated, Ashe hopes to unify the Freljord once more by retaking their ancient, tribal lands. Last-modified: 2019-04-25 (木) 15:03:03 <461907903> | HTML convert time: 0.009 ( 0.024 ) sec.